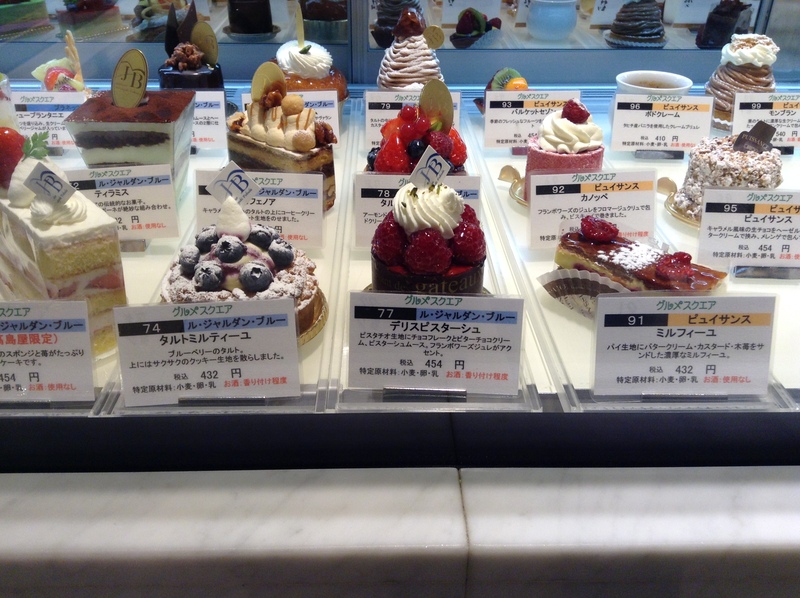 If you have a sweet tooth be sure to visit Shinjuku Takashimaya’s Patissieria in the depachika. The concept is brilliant, over a hundred signature sweets from patisseries throughout Tokyo all displayed together. Carefully peruse the sweets and upon selecting one, or two if you like, take a seat at the counter and order a coffee and enjoy. Even on days when I don’t have time to sit down, I do try and glance through the display case as the offerings are constantly changing. As can be expected, aside from the classics, many are influenced by the seasonal ingredients. 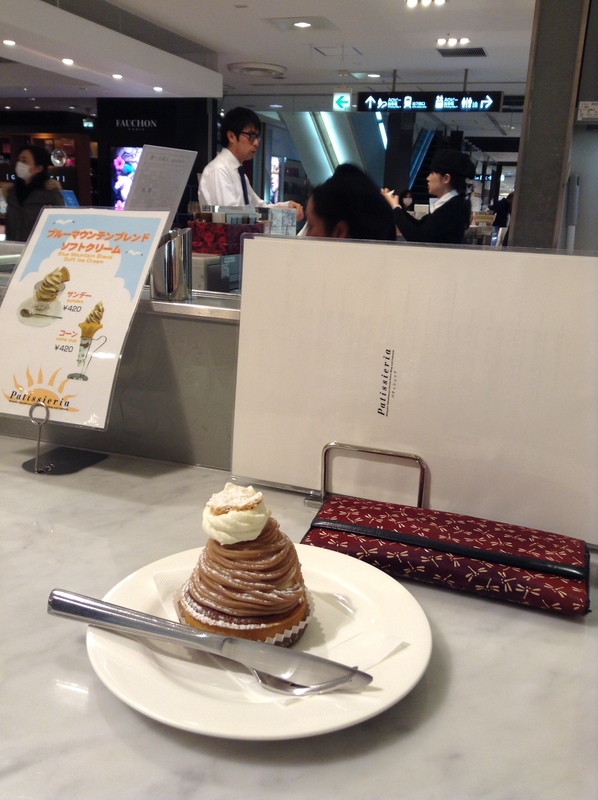 My view from the counter with a Mont Blanc. Shinjuku Takashimaya is located just outside of Shinjuku JR Station. Take the Shin-Minami-Guchi, New South Exit, take a left and you will walk into Takashimaya in one minute. Follow the escalators down to the basement. I love that place as well! 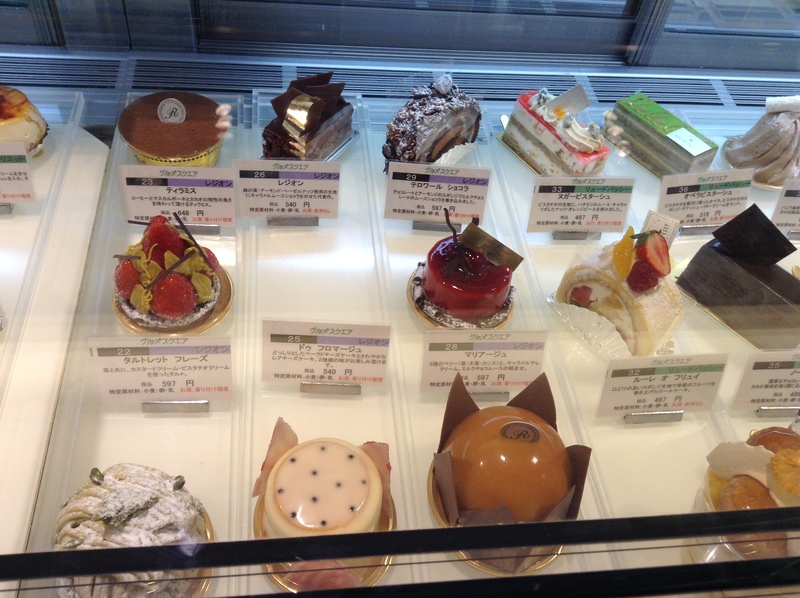 Most of the pâtisseries that are represented at Patissieria are good places, so there’s always a variety to choose from. A gem in the depachika!